Ocean currents contain a massive amount of energy that's usually hidden beneath the waves - but a new Ocean Energy Turbine has the potential to harvest this renewable resource. Designed by Florida-based Crowd Energy, the Ocean Energy Turbine is low-speed, high-torque generator that sits on the sea floor and utilizes the steady power of the currents to generate electricity. Hidden under the water, the Ocean Energy Turbine is relatively safe from weather, it doesn't obscure views, and it has access to consistent and reliable ocean currents. Now it just needs funding so that it can reach the next stage in development. Comparing this design, with its moving venetian blinds to other ones with simple rotors, I wonder how much more maintenance they would require. With flotsam and small animals getting stuck between those blades, they would quickly not be able to shut completely on their power strokes, reducing the efficiency of the system. Innovative! and I see great potentials in its ability to supply electricity in a harmless and cleaner way in a world wide basis. They should approach the government of Nova Scotia. There are huge grants for anyone who can harvest the tidal power of the Bay of Fundy, and the largest tides in the world. According to the Bureau of Ocean Energy Management, if you utilized just 1/1000th of the energy potential available in the Gulf Stream in the Atlantic, you could supply Florida with 35% of its electricity. Extrapolate that out across all the major currents globally and there's plenty of potential to supply the entire world with electricity. Florida-based Crowd Energy was started by two brothers and marine experts, Todd and Phillip Janca, who want to harness that energy. They have been working for eight years on a sub-sea water turbine that will safely and efficiently generate energy from marine currents. 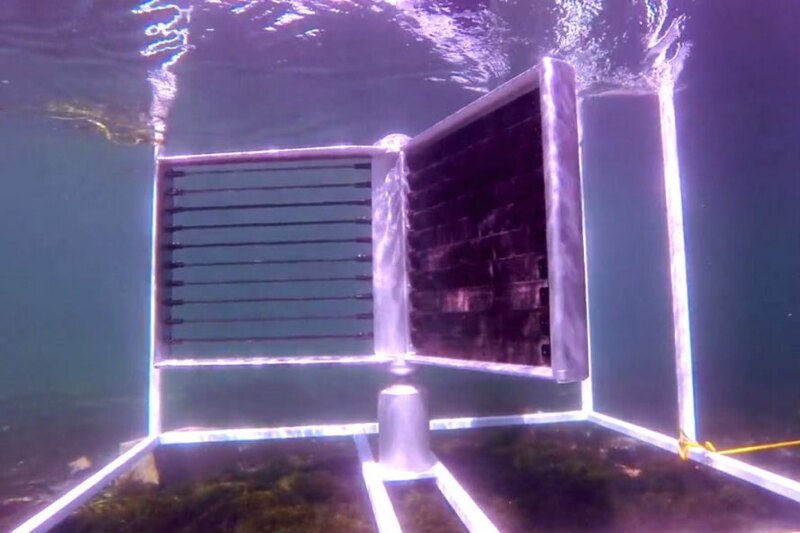 The Ocean Energy Turbine is a three-bladed vertical axis turbine with large paddles featuring integrated, movable blades. As the current begins to push on a paddle the blades flip shut, offering more surface area for the current to push against. As the paddle spins around, the blades open back up to offer less resistance. The turbine has been designed to withstand the harsh conditions of the marine environment while minimizing impact on aquatic life. The high-torque, low-speed turbine operates at speeds similar to swimming fish and should not present any physical risk to life, and it also makes minimal noise so as to not disturb marine life acoustically. 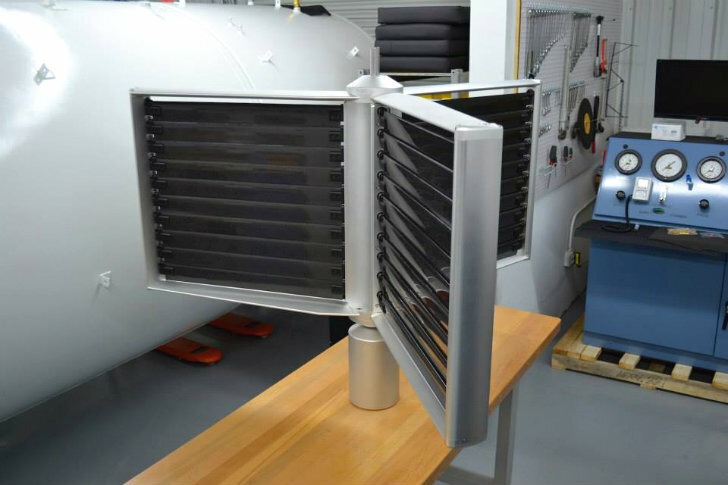 Currently, Crowd Energy is running a Kickstarter Campaign to raise funds for the company to progress their design past their first prototype into a second prototype for laminar flow tank tests. Afterwards they will begin open water testing and verification with the help of the Southeast National Marine Renewable Energy Center at Florida Atlantic University. The team hopes to prove their technology, improve upon the design and then begin work on production scale turbines that can generate real electricity in the ocean.